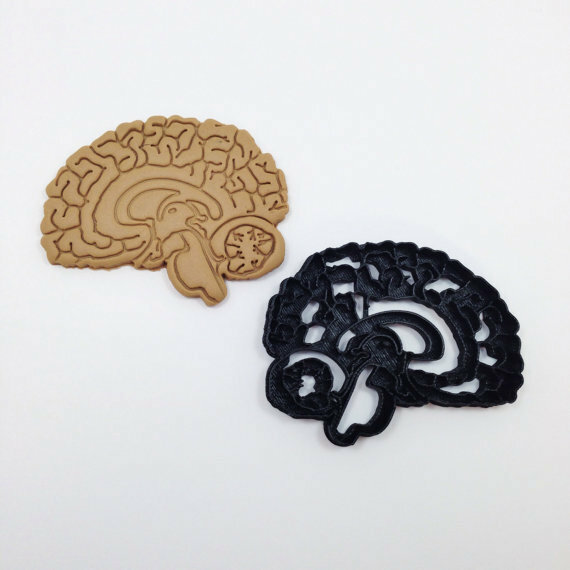 Show your love of anatomy with these anatomical brain cookie cutters! 3D printed black cookie cutter in the shape of your favorite organ! Includes perfect sugar cookie recipe.